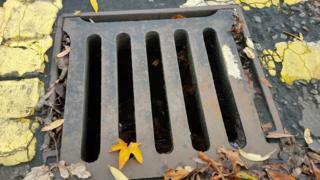 More than £40,000 of taxpayer money has been spent replacing stolen drain covers in Cardiff in the past three months. About 125 gully grids have been stolen since mid July, causing the council to spend about £43,000 on making the grids safe and replacing them. The grids have been replaced by new frames which cannot be lifted by hand. Councillors blamed the scrap metal market and said 30 covers had been stolen in the past week. Michael Michael, who is responsible for trading standards in the city said: "Our message to the trade is simple, if there wasn't a market for these grids, they would not be stolen in the first place. "So when we visit the scrap metal dealers to check their records, which we will be doing, we hope to find everything in order or we will be taking appropriate action." Scrap metal dealers are not allowed to buy or sell scrap with cash. Instead, they must take an electronic transfer or cheque in order to create an audit trail, and hold a license to operate a scrap business. The thefts have taken place across Cardiff, although the most recent were in the Radyr and Rhiwbina areas of the city.